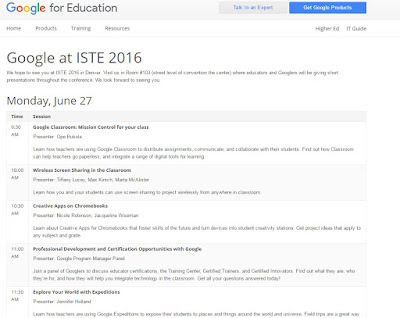 Google will be hosting some great sessions and discussions at ISTE next week. 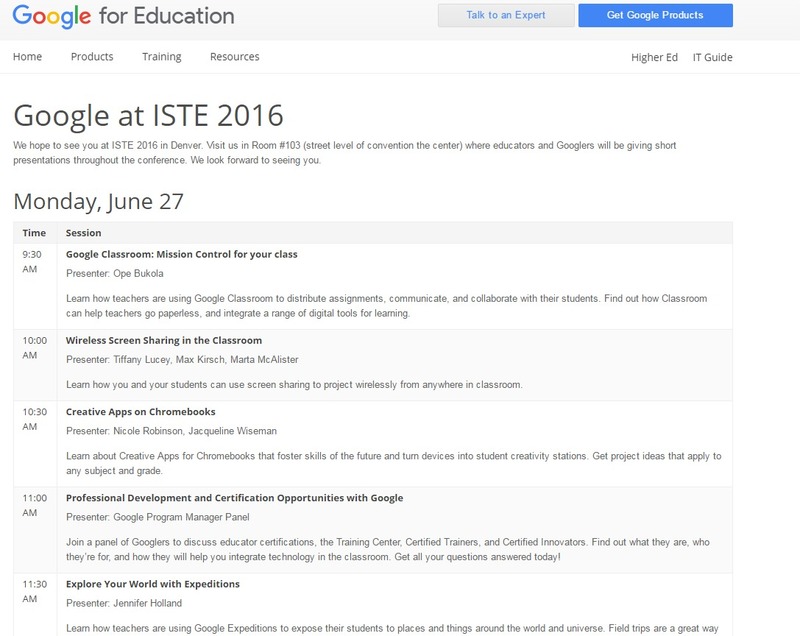 We hope to see you at ISTE 2016 in Denver. Visit us in Room #103 (street level of convention the center) where educators and Googlers will be giving short presentations throughout the conference. We look forward to seeing you.